Beaufort, North Carolina, USA (July 25, 2017) – gplink is pleased to announce a partnership with WheelHouse Technologies, creating a comprehensive perspective on vessel upkeep through seamless integration to the WheelHouse marine maintenance system. Pleasure craft, commercial vessel, and fleet owners can now enjoy the benefits of real-time vessel monitoring, tracking and support, from gplink along with a simple and easy-to-use interface; charting the course to proper vessel maintenance, spare parts management, and document tracking. As found on Boston Harbor Cruises, New York City Ferries and pleasurecraft across the globe, the gplink Remote Monitoring system can be installed on virtually any engine, both electronic and mechanical via analog NMEA converters. 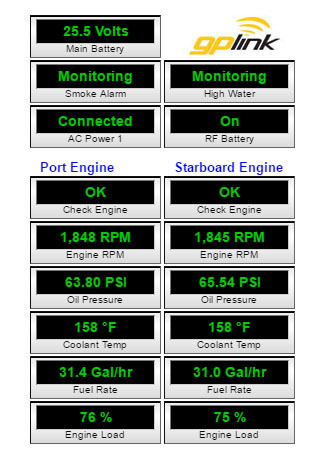 Dozens of engine operating parameters can be monitored in near real-time and logged over a specific date range for building reports that can be downloaded into WheelHouse Underway™; a tablet application for iOS™, Android™, and Windows™ devices. WheelHouse Underway™ expands the functionality of WheelHouse, which provides: vessel specifications, documentation, maintenance recommendations, and spare parts guidelines in a cloud-based application. The gplink system inherits its reliable monitoring and tracking through utilizing dual band technology with GSM communications, as well as the Iridium satellite system for location tracking, monitoring, and emergency notification. By using both of these extensive networks, gplink can provide worldwide coverage, and ensure that connections are not only reliable but affordable too. With the reliability and breadth of information captured by the gplink system and the robust infrastructure of WheelHouse’s Marine Maintenance Systems, pleasure craft, commercial vessels, and fleets throughout the world now have seamless access to the most comprehensive remote monitoring and tracking system available. The gplink system and monitoring service can easily pay for itself in the first year through fuel savings and early detection of engine operating abnormalities. gplink remote monitoring is the most capable remote diagnostic tool available for recreational & commercial vessels. gplink remotely monitors the most critical parameters of engines or generators while utilizing dual-band technology with GSM communications and the Iridium satellite system for location tracking, monitoring and emergency notification. NMEA 2000 compatible, gplink uses both of these extensive networks to provide worldwide coverage, through a dedicated 24/7/365 concierge which provides alerts and reminders via email, SMS or phone. gplink‘s non-obtrusive, easily installed hardware package provides a simple solution for vessel management, with the ability to capture maximum fuel efficiency while maintaining organizational effectiveness and SEEMP compliance. WheelHouse provides an easy-to-use interface to manage maintenance related activities on a single vessel or fleet. This powerful vessel maintenance system enables the owner, captain, and crew to maintain the material condition of their vessel using comprehensive “Planned Maintenance Tasks” and “One-time Maintenance Tasks” in linking documents, special tools, and required parts to the reminder. WheelHouse is a Software as a Service (Saas) application on cloud technology with off-line syncing operation through WheelHouse Underway™. 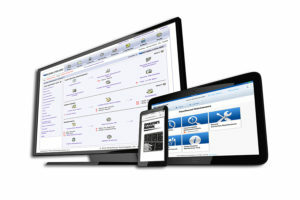 Discover WheelHouse’s suite of vessel maintenance software solutions.